We can't express how happy we are about the volume of #HCTBride submissions! Thank you everyone who has sent them in, please keep them coming! Next up on our featured #HCTBride are newlyweds sweet Sarah and Joe. Sarah and Joe met online, with Joe initially sending a message wondering about Sarah's zebra TOMs, their love of baseball and his first day teaching. They instantly hit it off and years later, decided to relocate together to Los Angeles. 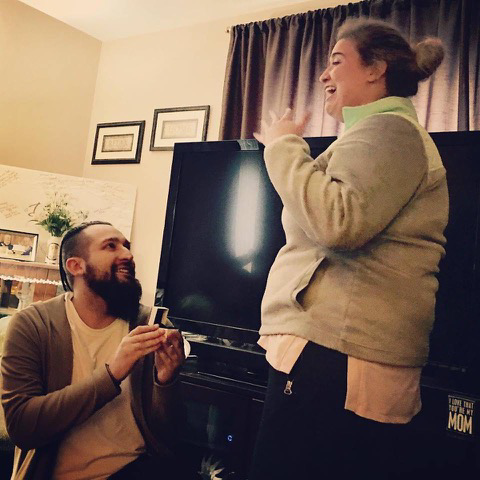 Last March, in front of both of their families, Joe proposed! She said "yes!" and from afar, they planned their Chicago wedding. The wedding featured the same elements that brought them together, baseball and TOMs. Though she did not wear the same zebra TOMs, but aballet wedge. All of the details of their wedding beautifully told the story of Sarah and Joe. True to their wedding hashtag, the wedding was a #grandslam! Check out this beautiful couple's photos! Sarah looked absolutely beautiful in her MoriLee Moiselle dress! Breathtaking and stunning, this cap sleeve ball gown features tulle with embroidered appliqués and an off the shoulder v-neck bodice. Sarah had a great experience dress shopping with us, finding that our dresses were unique and beautiful. She became a part of our #HCTBride family when she said yes to the dress! It was wonderful getting to know Sarah and her family throughout her appointments and we are so happy to share her story. 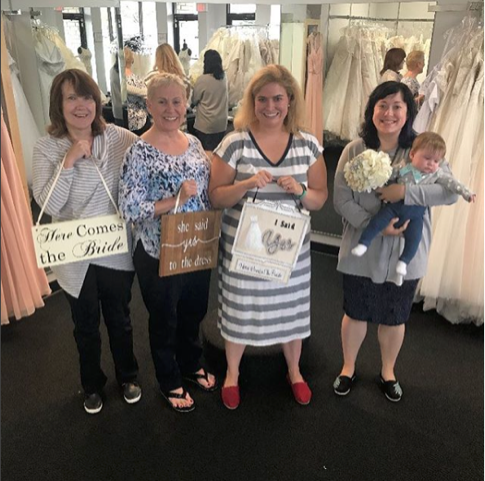 From all of us at Here Comes the Bride, we wish Sarah and Joe the best on this wonderful journey, as you build your new lives together. Thank you for being a beautiful #HCTBride!